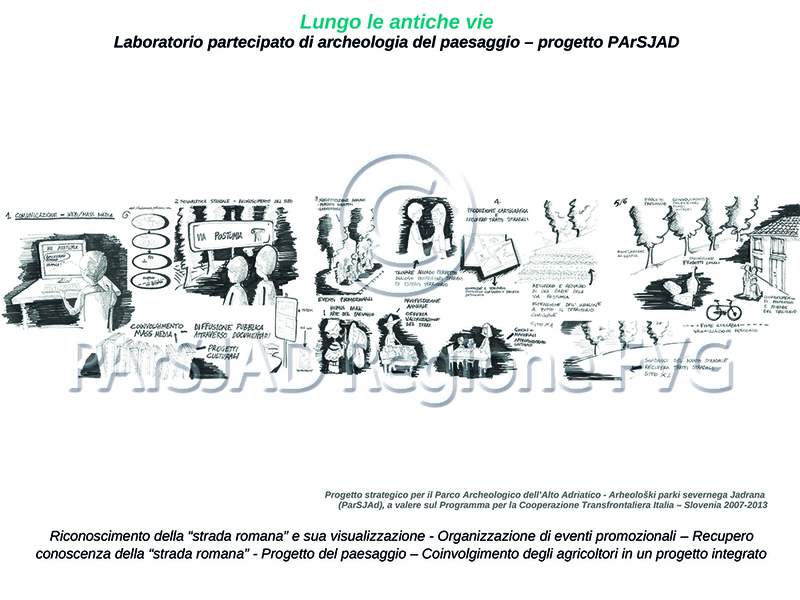 Through the sharing of technical and scientific knowledge and local memories, the workshops aim to envisage possible forms of cultural development of the area, inspired by the archaeological and natural resources. 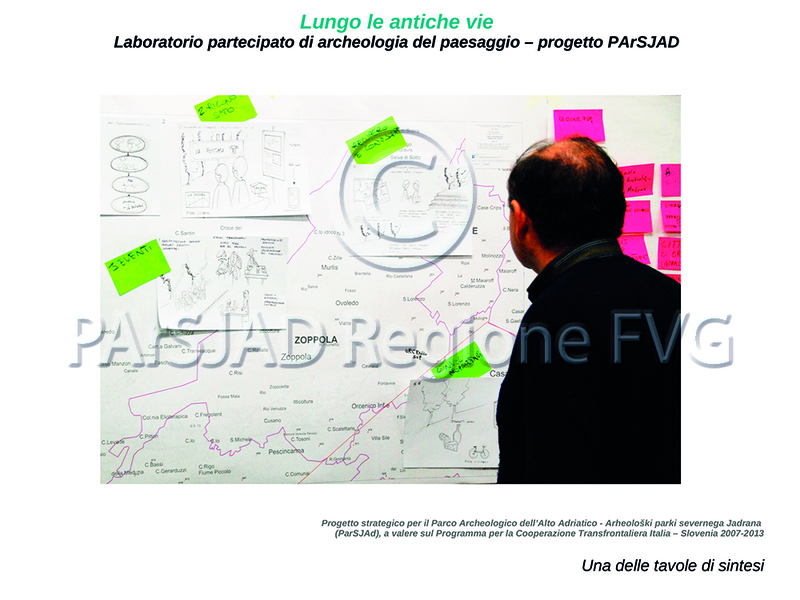 The meetings provide a bike ride along the “roman road”and a participatory landscape archaeology workshop held through Charrette methodology. 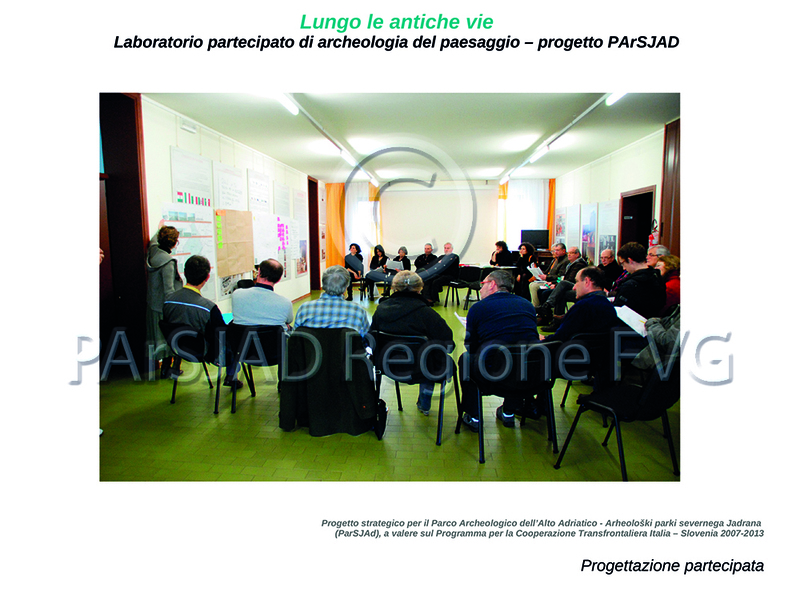 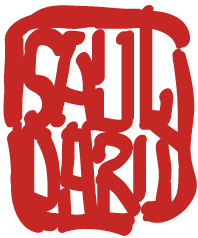 The workshops have been conducted as part of work on the definition of a cultural planning tool of the Archaeological Park of the Northern Adriatic (PArSJAd), in the Friuli Venezia Giulia Region. 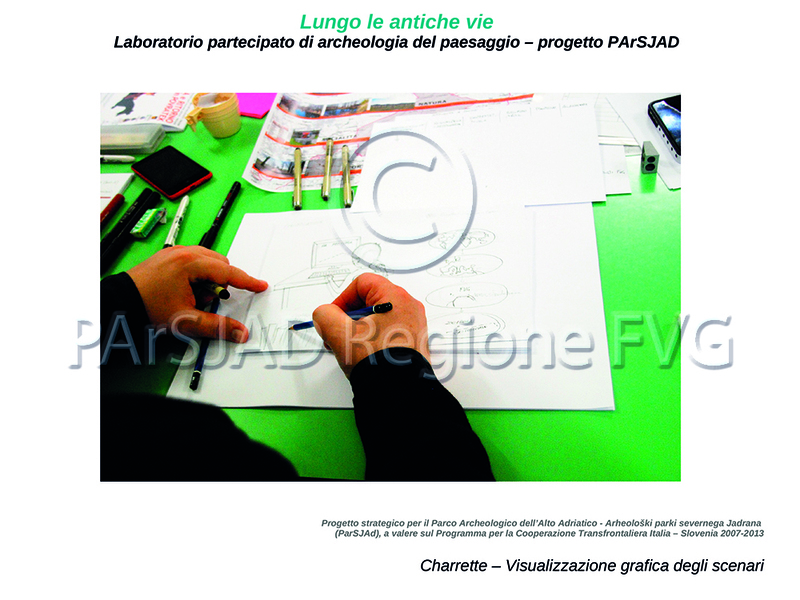 Indispensable tool in the technique of the Charrette, the draw appears to be a language easily understandable to all parties present during the workshops of participatory landscape archaeology planning to represent clearly and directly the issues, needs and suggestions made during the meetings between professionals and citizens. 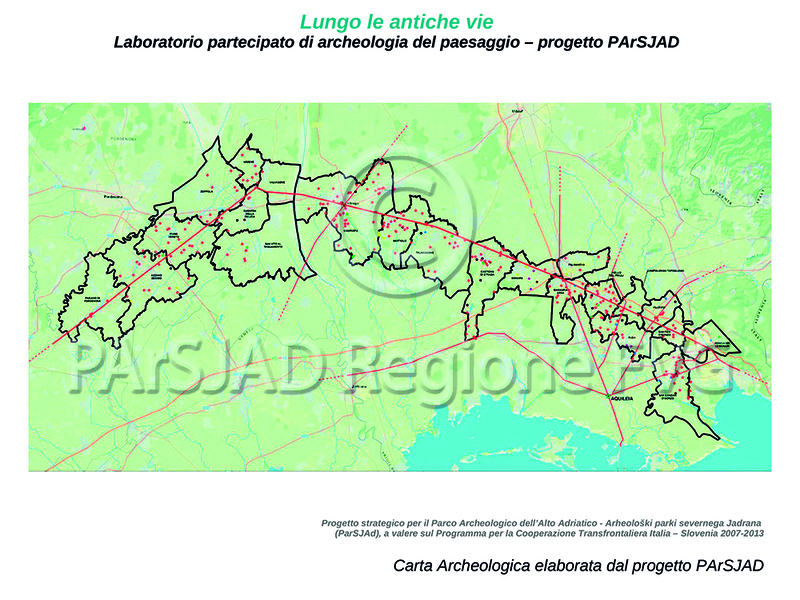 Material produced on behalf of the Autonomous Region Friuli Venezia Giulia, in the Community strategic project Archaeological Park of the Upper Adriatic ( PArSJAd ), funded by the Cross-Border Cooperation Programme Italy -Slovenia 2007-2013.